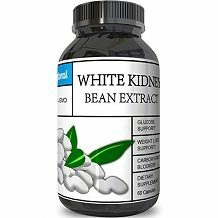 This is our review of Phytoral White Kidney Bean Extract. Its goals are to support glucose, weight loss, and prevent starch from being deposited as fat. It may even be able to reduce cravings and suppress your appetite. It is also meant to give your metabolism a boost and process the food we eat into energy, not fat. Continue reading for our full review. Other ingredients include: Cellulose, rice flour, and magnesium stearate. The main ingredient is known to be an effective weight loss supplement. It has a high fiber content, which will hopefully leave you feeling full longer and decrease your food cravings. White Kidney beans also contain minerals, vitamins, and proteins. They also should reduce the amount of carbs being absorbed into your body as fat. It is recommended to take 2 capsules immediately before two of your largest meals of the day or what your healthcare provider instructs you to do. Do not take more than 4 capsules daily. There are no side effects listed on the packaging but it is possible to experience some gas and diarrhea due to the increase in fermentation of carbohydrates. You should not take this supplement if you are pregnant, nursing, or have a family history of liver, kidney or prostate disease or endocrine conditions. These supplements should be used together with proper diet and exercise. You should also consult with your doctor before taking if you are on any medications. 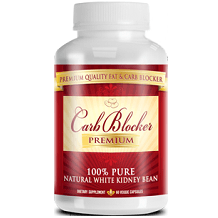 Phytoral White Kidney Bean Extract is sold in bottles of 60 capsules for $10.44. If you take the recommended dose, 1 bottle will only last you about two weeks, which means these supplements are a tad on the expensive side. They have a 100% customer satisfaction guarantee or your money back. We were unable to find any details about this guarantee. Therefore, we do not know how long you have or what condition the product has to be in to qualify for a full refund. There were many positive reviews for this product. Customers felt that it was able to suppress their appetites in addition to help them either maintain or lose weight. There were negative reviews as well. A lot of customers felt they did not notice any effects of this supplement and also said it caused them to have a lot of gas. There are a couple of positive things about Phytoral White Kidney Bean Extract. It has a clear and concise list of one ingredient that is known to have a lot of health benefits. It also has plenty of positive customer reviews saying that this product really worked for them. There are a few things that also concerned us. They have a guarantee but unfortunately we couldn’t find anymore information about it. The bottle of 60 capsules will only last you about two weeks if you take the recommended dose. This ends up making this supplement less affordable. We also read a bunch of customer’s reviews saying that this product had no effect on them. We feel that there are better options out there and therefore would not recommend this product.